Pee Wee Russell, MainArtist - Basta Music (Nl), MusicPublisher Copyright : (C) 2005 M.A.T. Music Licensing Ltd. (P) 2005 M.A.T. Music Licensing Ltd.
Pee Wee Russell, MainArtist - STASNY-MUSIC CORP, MusicPublisher Copyright : (C) 2005 M.A.T. Music Licensing Ltd. (P) 2005 M.A.T. Music Licensing Ltd.
Pee Wee Russell, MainArtist - MORRIS-EDWIN-H-CO INC, MusicPublisher - Greene-Mort-Music Co, MusicPublisher Copyright : (C) 2005 M.A.T. Music Licensing Ltd. (P) 2005 M.A.T. Music Licensing Ltd.
Pee Wee Russell, MainArtist - Melrose-Music Corp, MusicPublisher Copyright : (C) 2005 M.A.T. Music Licensing Ltd. (P) 2005 M.A.T. Music Licensing Ltd.
Pee Wee Russell, MainArtist - Mills Music Inc, MusicPublisher Copyright : (C) 2005 M.A.T. Music Licensing Ltd. (P) 2005 M.A.T. 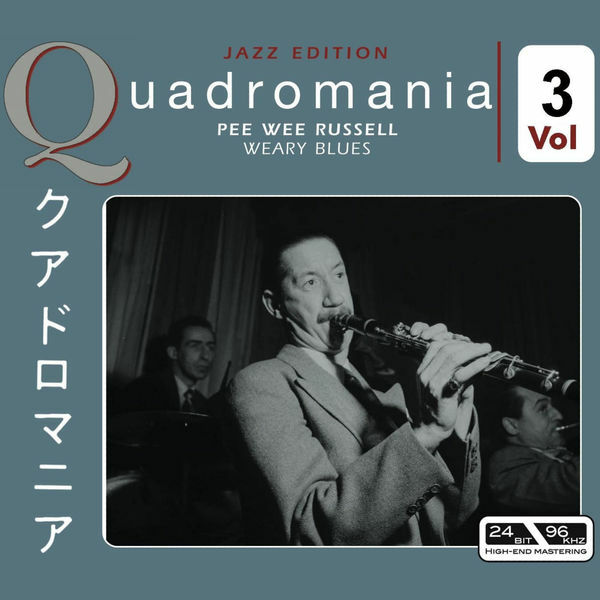 Music Licensing Ltd.
Pee Wee Russell, MainArtist - Harms Inc, MusicPublisher Copyright : (C) 2005 M.A.T. Music Licensing Ltd. (P) 2005 M.A.T. Music Licensing Ltd.
Pee Wee Russell, MainArtist - Remick Music Corp, MusicPublisher Copyright : (C) 2005 M.A.T. Music Licensing Ltd. (P) 2005 M.A.T. Music Licensing Ltd.
Pee Wee Russell, MainArtist - MELROSE-BROS-MUSIC CO INC, MusicPublisher Copyright : (C) 2005 M.A.T. Music Licensing Ltd. (P) 2005 M.A.T. Music Licensing Ltd.